One SEGA Nerds' journey to collect 'em all! This past week was my start to the Dreamcast Collection Challenge where I will attempt to collect all official North American released Dreamcast games. Now, looking back at my first week, I really don’t think it could have gone any better. Early in the week, I received a few games that I bought earlier in the week off eBay – Time Stalkers, World Series Baseball 2K2 and Evolution 2. I could have sworn that I already had Time Stalkers in my collection, but who knows where it wandered off to. That game was one of my favorite Dreamcast RPGs, and it’s a real shame that it never got the attention it deserved because it was really overshadowed by Skies of Arcadia and Grandia II at the time. I bought World Series Baseball 2K2 because it recently became playable online again. Ever since I bought a DreamPi, I’ve been trying to get all the Dreamcast games that are now online. It’s really fantastic that the Dreamcast community is so dedicated that we can actually play the Dreamcast online nearly 20 years after it was originally released. That really boggles my mind. I got a little lucky on Friday because my kids were out of school, so I decided to take the day off to spend with them. I had to run into work in the morning, but after that, I took them to Chic-Fil-A for lunch, and they ran around the playground while I searched for some video game stores where I could go Dreamcast hunting. I didn’t have as much time in the day for hunting because later in the afternoon, I had to go pick up a new truck that my wife and I had recently bought. So I decided I’d stay relatively close and figured I’d go to a local retro game store called Jay Street Video Games in the Cherry Hill Mall in New Jersey. I didn’t have a strict budget for the day but wanted to stay under $100 if I could help it. The sweet sight of SEGA games in a retro video game store. 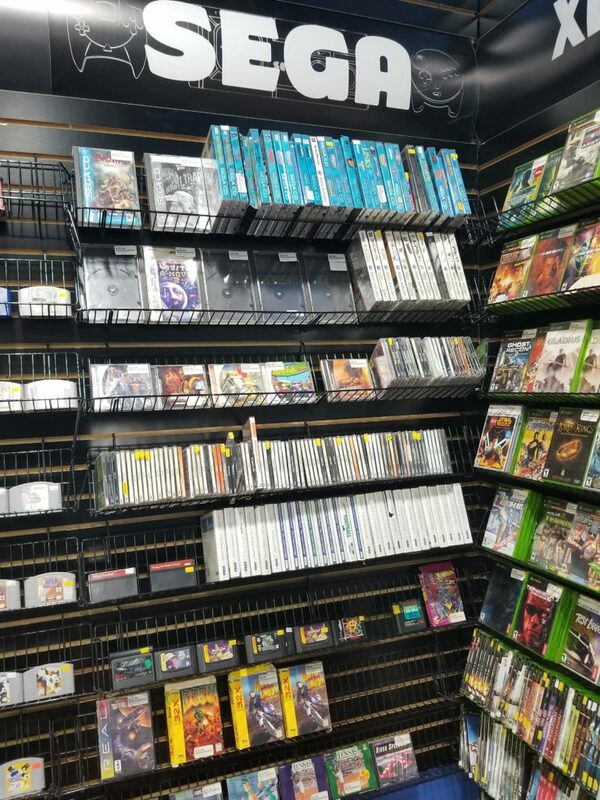 Now, I’ve been to this store several times over the past couple years, and they have a decent selection of retro games and their prices usually aren’t too absurd for most games, but can get a little up there for more rarer titles. 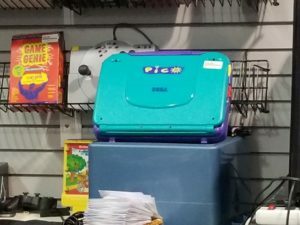 Walking into the store, they had an entire SEGA section in the back corner of the store, including Master System, Genesis, Saturn, 32X and Dreamcast games. 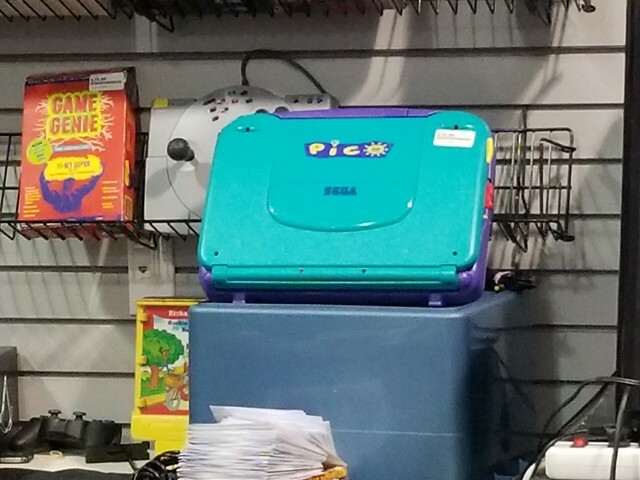 They also had a SEGA Pico sitting on a shelf behind the counter! You don’t see those very often these days. To my surprise, they actually had a pretty decent selection of Dreamcast games that spanned two rows on the shelves. My eyes were immediately focused on The House of the Dead 2 and Alien Front Online — two games I always wanted in my Dreamcast library — but my strategy going in was to buy all the cheap games that I needed first, which meant lots and lots of sports games. Thankfully, they had most of the 2K titles there for only a few bucks, but there were several other non-2K sports titles that weren’t as cheap but still in the sub-$10 range. All in all, I picked up 17 Dreamcast games and a Web Browser 2.0 disc because I wanted SEGA Swirl. So I ended up going over budget by about $25, but that was mainly because I really wanted Tomb Raider Chronicles, Reel Fishing – Wild and Slave Zero. Needless to say, I was incredibly excited about adding 18 new games to my Dreamcast collection. In total this week, I collected 21 games for my collection to increase my overall total to 66 games. I’ll definitely hit up Jay Street Video Games again, though, and will certainly grab The House of the Dead 2 and Alien Front Online when I visit next.